Where do I begin? We had our wedding rehearsal, wedding and reception here 2 weeks ago and everything was absolutely perfect! From day 1, the staff took the time to meet with us whenever we needed it, answer all questions that we had, and were very professional! They even let me come in and help with decorating the day before as this was one of the biggest parts of the wedding that I was looking forward to (I love throwing parties and decorating) so to be able to help out, I was on cloud 9. Everything went off without a hitch. The decorations were stunning and just like I pictured, the staff was friendly and fun, and the food! Oh my goodness the food! It was so delicious! I am still getting comments about how good that food was. I actually had time to eat and if you order anything for your wedding make sure you get the prime rib in there! Melted in your mouth! As the evening ended staff did not rush us out and took care of the tear down. I know thank you is not enough but Thank you for all you did for us!! Our wedding was so wonderful and special because of the entire staff at Orchard Valley. I would recommend it to anyone. It was such a beautiful place and everyone was so helpful and professional. In searching for the perfect venue for our wedding we visited several locations in the area & decided on Orchard Valley. We worked with Jim Tourloukis & Ann Marie Kaufman and I can't say enough about their professionalism, flexibility & eagerness to help us plan our special day. They both were available the day of our wedding to ensure every detail was perfect. Ann Marie was very helpful prior to the ceremony making sure that we were dressed & ready for the ceremony on time. Her expertise & attention to every detail helped keep me calm & able to enjoy every moment ! The appetizers served during the cocktail hour were delicious & plentiful. We decided to have a plated dinner at our reception & the food selections were served on time & the food was excellent! We were very happy with our decision to select Orchard Valley as the venue for our special day! 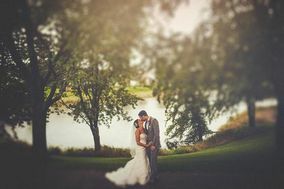 We would very highly recommend Orchard Valley to anyone looking for the perfect venue for their special day!